The Comedy Shutdown tour arrives in Coventy for its 2nd show in the series. 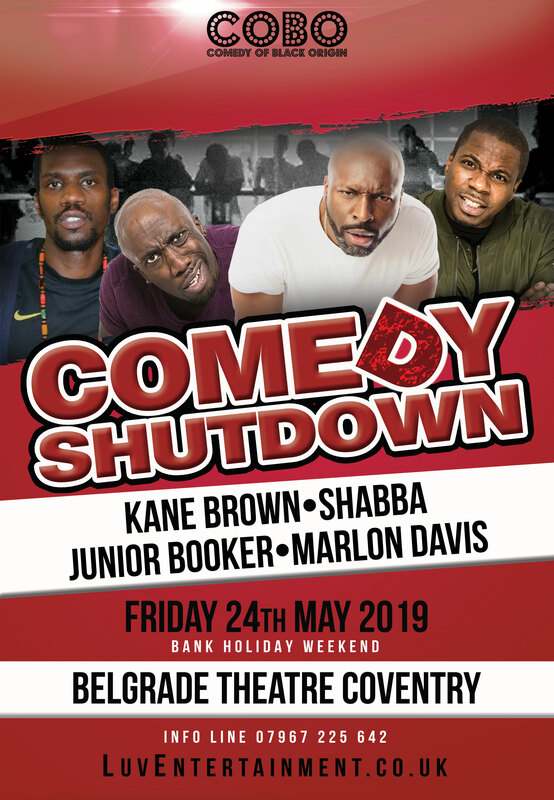 Check out some of the best Urban Comedians in the great settings of the Belgrade Theatre Coventry. Junior Booker is a young, charismatic & talented comedian from South London. Junior Booker has been ripping up shows all over the country & entertaining audiences all over the UK with his smart, quick witted, laid back comedy performances.